If you're an Amazon Prime member, you can access Black Friday Lightning Deals early. 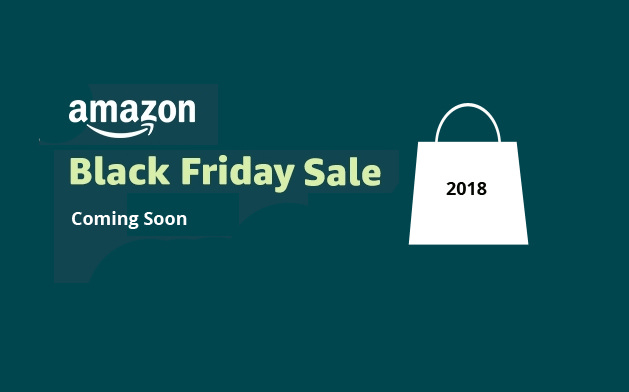 Amazon Prime members, including customers enjoying a free Amazon Prime 30-day trial, will have an exclusive 30-minute early access period to all Amazon Lightning Deals on Black Friday 2018. Lightning deals include products which are discounted for a short period of time and in limited quantities so you have to be quick when hitting the 'buy now' button. Lightning deals are available all day throughout Black Friday, with new deals becoming available as often as every five minutes. Black Friday takes place on 23 November 2018 but Amazon UK will be bringing you discounts and deals from 16 November 2018. To find out what Black Friday is and how to make the most of it, take a look at our Black Friday Guide. As well as early access to Amazon Lightning Deals on Black Friday, Prime Membership also gives you access to unlimited photo storage, unlimited 1-day delivery, TV shows, movies, music and over a million ebooks. Plus, Amazon Prime is available on a 30-day free trial which means if you sign up now, you can access all of the Amazon Lightning Black Friday Deals 30-minutes earlier than none Prime members without actually paying for Prime membership. After the free trial, Prime Membership is priced at £7.99 a month or you can purchase the annual plan for £79 (equivalent to £6.58 per month). You can cancel your membership at any time. Can't wait to grab yourself a deal? Head over to our 'best photography deals' page where you'll find the best price drops as well as the best deals on photography equipment found on Amazon UK.